DEVOLUTION should be “turned upside down” to create a federal Britain, a group of senior cross-party politicians insists today as it publishes a draft Bill to create a new Act of Union. The Constitution Reform Group (CRG) believes that its proposed legislation is now the last chance to save the 300-year-old union given the renewed threat of a second Scottish independence referendum in the wake of the Brexit vote. The aim of the 48-page Act Of Union Bill 2016 is to “to affirm that the peoples of [our] nations and parts have chosen to continue to pool their sovereignty for specified purposes, and to provide universal citizenship with social and economic rights”. The CRG, whose members include the Marquess of Salisbury, who is the former Conservative Leader of the Lords, Lord Hain, the former Labour Northern Ireland Secretary, and Lord Campbell, the former Liberal Democrat leader, will now lobby the UK Government and Westminster to back the draft legislation, which it recognises can only be implemented with the support of the Tory administration under its new leader Theresa May. “The referendum on Scottish independence followed swiftly by the flawed implementation of English votes for English laws and the enormous electoral success of the SNP, brought to the forefront of public consciousness the deep imbalances in the make-up of the Union,” explained Lord Campbell. “The CRG was formed to address these imbalances and we believe that the Bill we have drafted is a good starting point. We want to turn the process of devolution upside down; the four nations of the United Kingdom should be sovereign but agree to pool that sovereignty on issues that it is agreed are best handled at a UK level. “The issues that divide the nation are far outweighed by the common values and cultures that have bound us together for hundreds of years. We hope that the new Prime Minister will take this unprecedented opportunity to realign our Union and secure it for centuries to come,” added the Scottish peer. 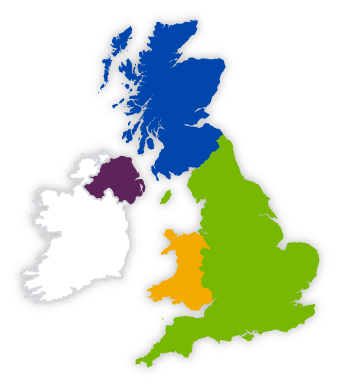 The CRG’s aim is to “wrest back the initiative from the separatists” and help save the 300-year-old United Kingdom by creating a bottom-up federal system, where each of the four parts of the UK would decide which powers they wanted to retain and then “federate upwards” and hand power over to the centre on issues they believe could be best managed by there; such as defence and foreign policy. the renaming of the Bank of England as the Bank of the United Kingdom with members of the board drawn from the four parts of the UK. Recently, members of the CRG met David Cameron, the former PM, and have begun a process of liaison with the Cabinet Office, recognising that it is only with government support that it has any prospect of changing the constitution. However, with the possibility of a second Scottish independence referendum now back on the agenda, with Labour about to undertake a constitutional review and with the issue of federalism increasingly part of the national conversation, the CRG is confident that its proposed legislation could begin the process of radical constitutional change to prevent the break-up of Britain. If it received the backing of Westminster, then the issue of creating a federal UK would be put to the four parts of the Union in a referendum. Crucially, however, the proposition would have to win approval from voters in Scotland, England, Wales and Northern Ireland, for the new federal system to be implemented, meaning any one of them would have a veto. Be the first to comment on "New Act of Union Bill published to create a federal UK and stave off Scottish independence"